It is never easy to place a loved one in a nursing home or assisted living facility. But when your loved one is struggling with dementia and can no longer care for himself or herself, you may need to take action. 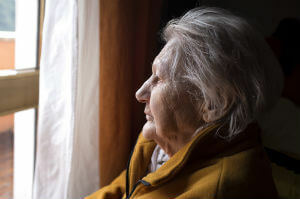 Unfortunately, nursing home residents suffering from dementia are vulnerable to abuse and neglect. For this reason, you should understand the type of care your loved one needs to meet his or her specific needs. If you believe that your loved one has been abused or neglected in a nursing home, contact our team of personal injury lawyers at The Edward’s Law Firm’s for a free, no obligation consultation. One of our legal practice areas includes nursing home abuse, which you can learn more about here. Dementia is a cognitive condition in which a person suffers a general decline in his or her mental abilities. The condition progresses to a point that it affects the patient’s daily life and he or she can no longer live independently. Stage 7 – Loss of ability to speak or communicate In some cases, these stages may simply be referred to as early-, middle- or late-stage dementia, however, the more exact stages provide more information about a person’s progression. Alzheimer’s disease is a type of dementia that affects a person’s cognitive abilities, such as his or her critical thinking skills and the ability to recall memories. It also causes behavioral issues and affects a person’s communication skills, making it difficult for a person diagnosed with Alzheimer’s disease to perform daily tasks. Approximately 60 to 80 percent of dementia patients are diagnosed with Alzheimer’s disease, making it the most common form of dementia and the sixth leading cause of death in the U.S. The greatest known risk factor for Alzheimer’s disease is aging, with the majority of diagnosed cases found in people 65 years or older. Alzheimer’s is a progressive disease, meaning the symptoms slowly worsen over time as the condition develops within the patient. In its early stages, a person diagnosed with Alzheimer’s disease may experience mild memory loss and find it difficult to remember newly acquired information. The disease then progresses to cause more rapid cognitive damage where the patient may lose the ability to hold a conversation or respond to his or her environment. A resident might suffer from moderate Alzheimer’s disease for many years. During this stage, the resident will require a higher level of care more frequently than he or she did in the past. The resident’s personality or behavior might change as well. He or she may become easily frustrated or angry or behave strangely. The final stage of Alzheimer’s disease is the most difficult. The symptoms become more severe and the resident will likely lose the ability to communicate, respond to his or her environment, and control his or her movement. As a nursing home resident’s dementia advances, it makes the resident more vulnerable to nursing home abuse. This is because he or she may lose the ability to communicate or may not remember the events of abuse that occurred. If you notice any of these signs of nursing home abuse, take action immediately by speaking with the nursing home’s administrative staff and reporting elder abuse to the proper authorities. If you suspect that your loved one is a victim of nursing home abuse or neglect, you may be the only one speaking up for his or her rights. You cannot afford to wait to take action. The Edwards Law Firm’s dedicated nursing home abuse attorneys have helped numerous families protect their loved ones who suffered abuse or neglect in a nursing home. We will provide you with a free, no-obligation legal consultation to review your nursing home abuse claim. Our attorneys will help you determine if your loved one’s situation entitles legal action. We provide all of our services on a contingency fee basis, which means our attorneys only get paid if your claim reaches a fair outcome. Choose a personal injury lawyer who will fight for your nursing home abuse case — contact us today.